A color scheme can set the tone for your living room. 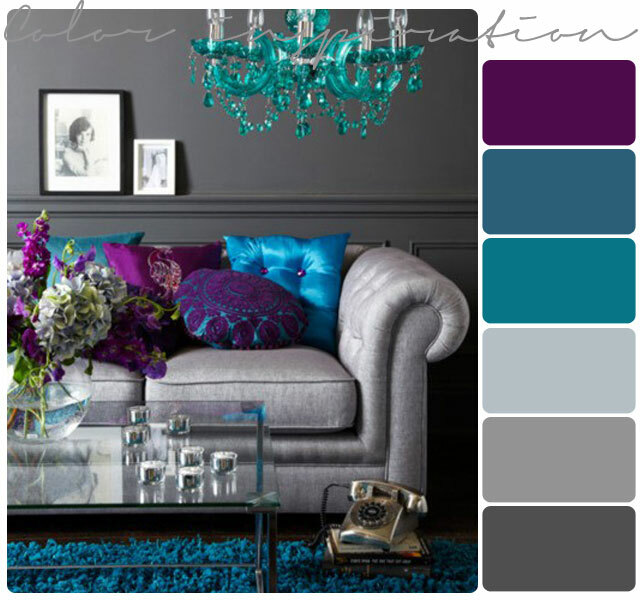 The colours you choose for your decorating schemes will affect the atmosphere of your room. Pick the right colour for your room and you can create just the feel you want in there – sophisticated or fun or relaxing and so on. The color can also affect the space in other ways – perhaps enlarging the room or making it cosier – which will also make you feel differently about it. 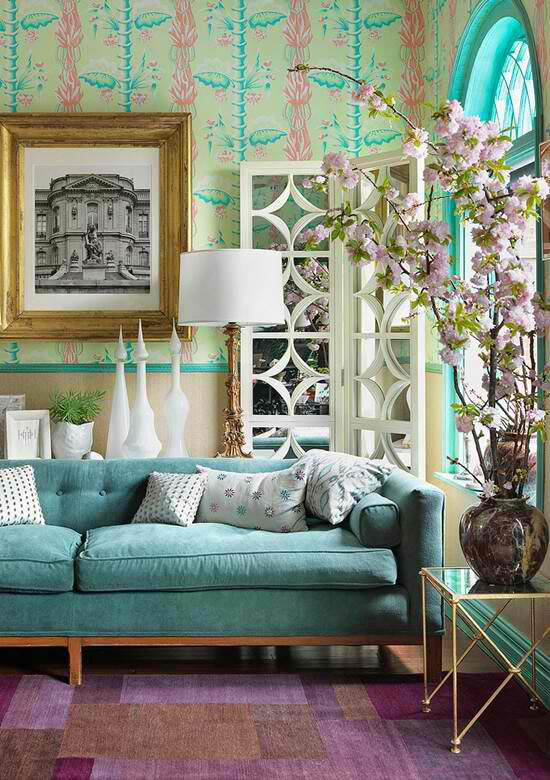 Check out these 26 Amazing Living Room Color Schemes. Blue Living Rooms. Color doesn’t always have to be sunny and bright. 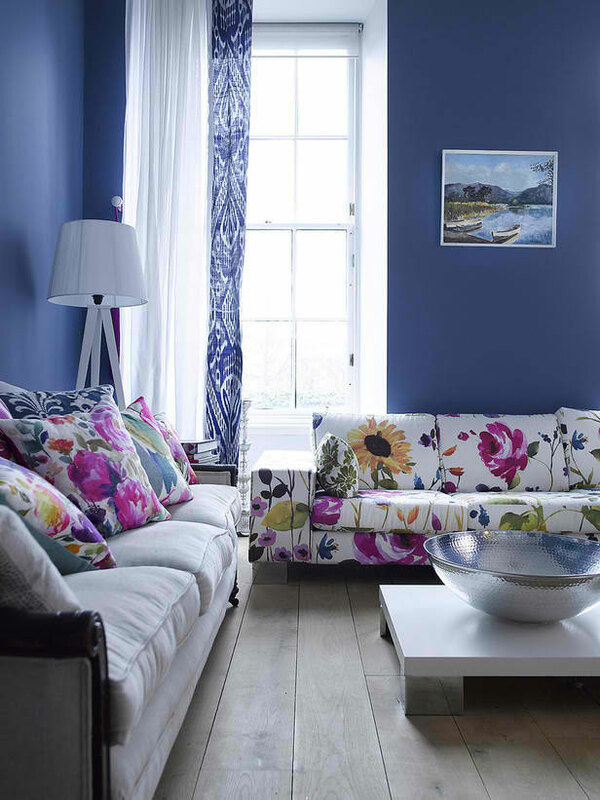 This deep-indigo living room provides the perfect backdrop to feminine furnishings doused in look-at-me floral prints. Designer Fiona Douglas avoided an overabundance of patterns by creatively mixing ikat and floral designs with white accents, creating the perfect color balance. The color palette in this living room includes shades of turquoise, jade green and yellow-green for a cohesive and sophisticated look. Rate My Space user merskine unifies her eclectic mix of furniture from Craigslist by painting the wood pieces a bright white and using an analogous color palette. 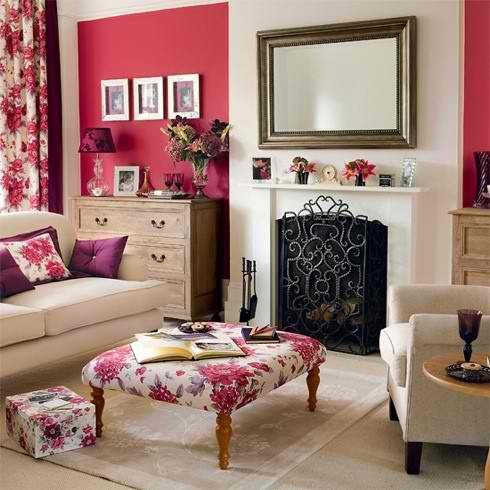 For more inspiration check out 100+ Best Red Living Rooms Interior Design Ideas. Two feature walls, one a brilliant fuchsia and the other covered in teal-and-gold paisley wallpaper, create an instant wow factor is this open plan living room. Low-slung furniture in white and peacock blue create a cool, lounge-like vibe, while natural-stained maple flooring and updated shag carpet ground the space. 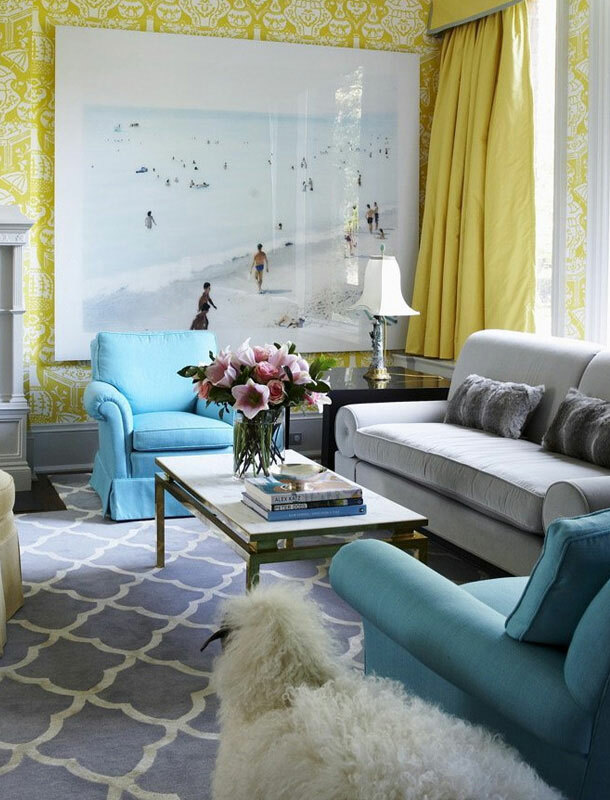 This chic, contemporary living room balances a cool bold blue with a warm citron yellow, but the bright color scheme it is nicely balanced by simple furnishings and decor, bright white moldings and the addition of a neutral, cool gray. To add architectural interest, Behr has painted this room’s details to stand out – like the fireplace and ledge on the back wall – and kept window coverings to a minimum. If your room already has great details, painting them to stand out is a wonderful way to add visual interest on a budget. Terracotta walls, leopard area rug on chevron floors, white tufted leather sofa and snake art. Interior designer Benjamin Dhong proves he’s mastered the art of combining textures. Vivid-pink walls and an upholstered daybed transform the room into a retreat. As a comforting counterbalance to the saturated color, the furniture and fabrics are cream and pale gray. Teal walls combine beautifully with a mustard sofa and rug for a warm scheme. Teak furniture adds a retro feel, while the large black and white framed print completes the look. The city slicker hot pink side table from CB2 isn’t the only colorful accent in the next image. The gray wall paint and sofa are the perfect backdrop to the citrus and magenta decor, including a geometric rug and fire-orange blanket. Neutral living room by Palmer Weiss. The living room is a part of your house that will define your living space and overall feel of your home, so it is not unusual to really spend some time and give a lot of thought regarding your final living room color schemes. First step in choosing the best color schemes for your living room should be deciding what kind of look you are actually going for. Try to envision what kind of a living room you want and then link the mood of your imagined living room with appropriate colors. Maybe you have envisioned an airy and light living room? Or perhaps you prefer something more calm and serene. Your style could be more simple and earthy, or even dramatic and bold. No matter what mood you envision for your living room, choosing the right living room color schemes will be a crucial part in making your vision come to life. Items that you own are also an important part of the living room decoration process, as they need to be properly merged into the feel of the room. While trying to figure out the right color palette for your living room, imagine your storage pieces, furniture and accessories in it and whether they compliment the overall ambiance of the living room. When you begin a creative process such as designing your living room, it is always useful to be inspired by something in order to draw ideas and vision which will help you create a perfect living environment for you. Try selecting something simple such as an inspirational piece which has a palette range of three to five colors. You can draw inspiration from an item you love. It actually doesn’t matter whether it is your favorite painting or your favorite outfit or something completely different, as long as it inspires your creative vision! When you think of your perfect living room you probably think of a room that will make you happy. 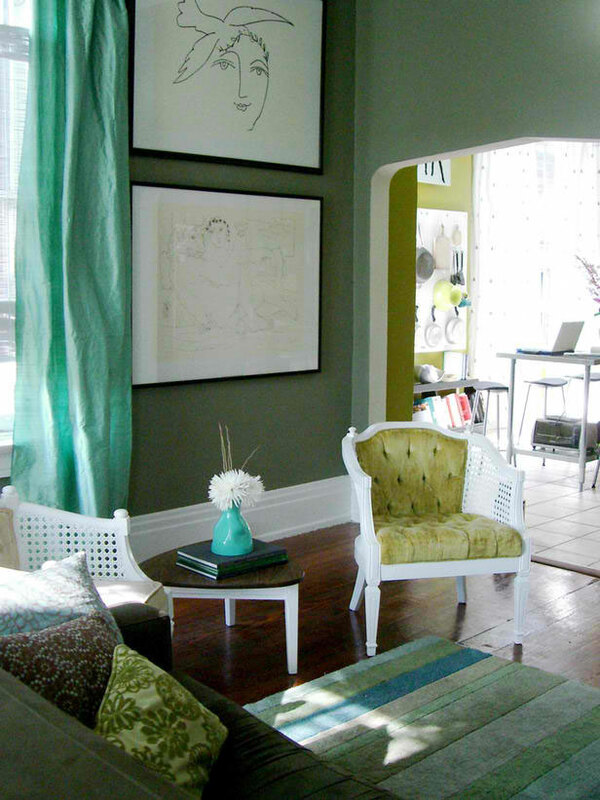 A great way to choose the right color palette is by asking yourself whether this color will make you happy. This could actually be the most important part of choosing the right living room color schemes. Think of a color and trust your gut response, don’t over think it. 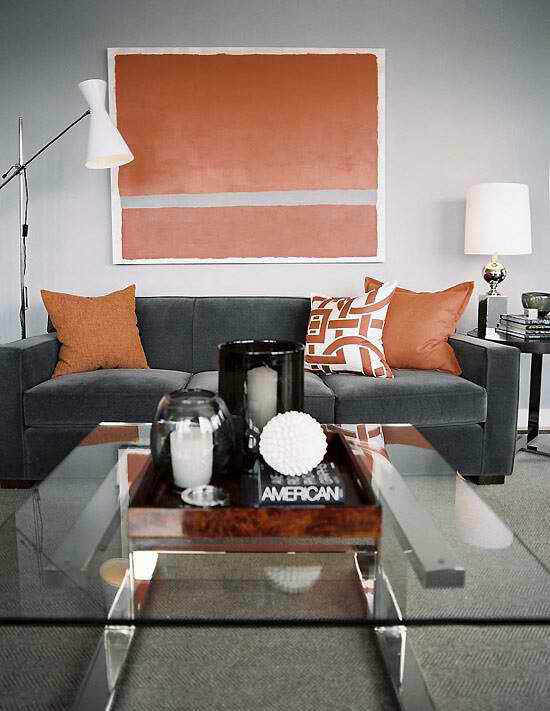 Your first reaction to the color should be your definite answer whether you want it in your living room or not. Pick the colors that make you feel happy and put a smile on your face when you see them. 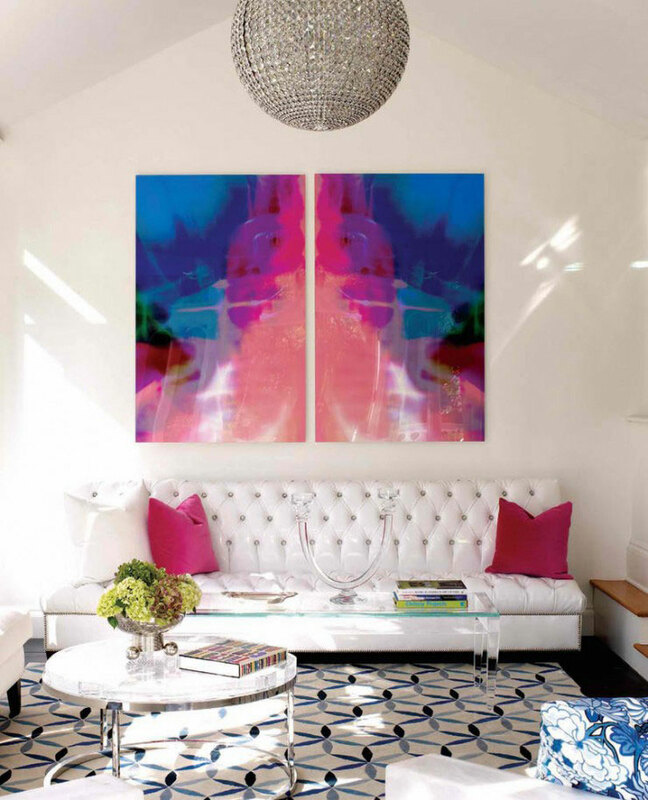 After selecting your inspirational piece it is time to decide what colors could look really good on your walls. A great way to test a lot of different colors is to get free color samples from your paint store and place them against your walls. Try experimenting with various shades of your primary color selection and don’t quit too soon, give each shade a chance as a slight change in color can make a world of difference. After you decide on a color for the wall, it is time to choose a color from your living room color schemes for your throw pillows and your draperies. If you desire a monochromatic look then choose the same color as the one for your wall, but if you wish to give it a nice decorative punch then have a go with more contrasting colors. Contrasting colors are great to use for accessories and side chairs you would like to have in your living room, as they add a fun tone to the room, especially if combined with interesting texture patterns. In the end, it is very important to stay loyal to your chosen color schemes! Keep a photo of your living room and take a look at it when trying to decide whether an item would look good in your living room. Stay true to your color scheme and your living room will always look fresh, finished and stylish! We have just written a book “Colours for Hotels” together with colour scientist Prof. Venn, where we made an empiric study and asked about 80 people to colourize different adjectives which describe hotel interiors. The result was very interesting and matched in many cases what we had done by intuition. Hi Erica, Benjamin Moore lush AF-475, is a similar color.